SKYE-WiFi - The SKYE WiFi™ 5MP color microscopy camera brings researchers and educators a new level of convenience and flexibility across a broad range of microscopy imaging applications for documentation, analysis, education and collaboration. 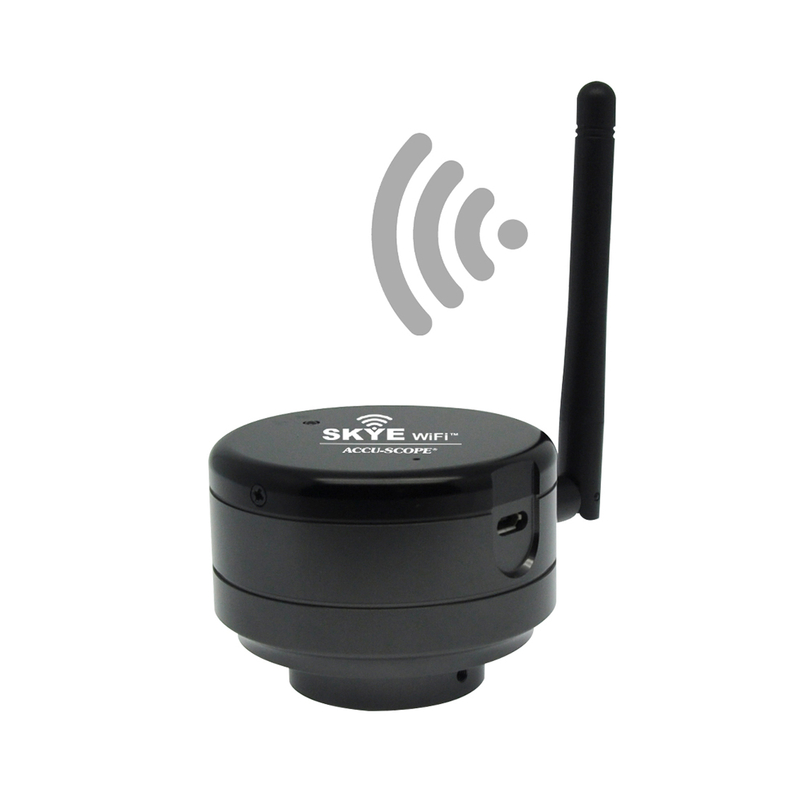 Utilizing the existing WiFi system in most facilities together with a mobile app for Android and iOS devices, the SKYE WiFi camera streams live images at up to 40 frames per second. The user controls the camera with a WiFi-connected device, while the images can be simultaneously viewed on up to ten WiFi-connected devices. No WiFi? No problem. The SKYE WiFi camera also features a USB mode for image acquisition and viewing through a PC using the included SKYE View™ software.